Here is jewellery piece number three from Jewels made by Jess. 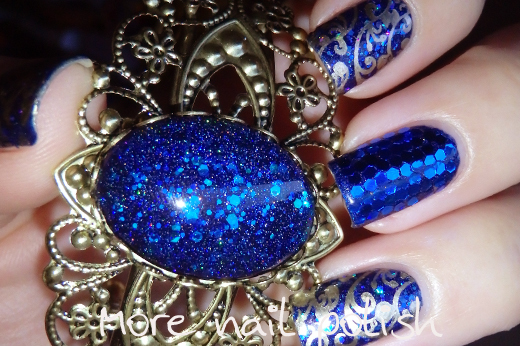 An beautiful intricate bracelet made with Emily de Molly Dark Depths. 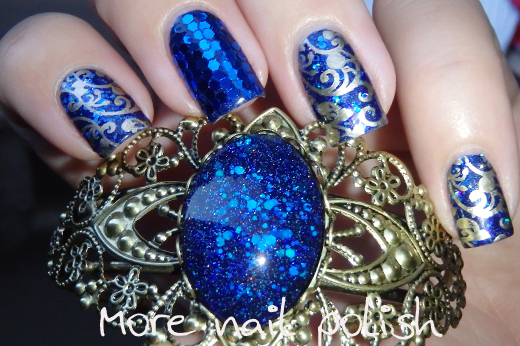 I loved the matching mani that I did for this one. I started with a base of OPI DS Fantasy and then applied a layer of Lynnderella Once in a Blue Rune on all nails except my middle one. After a layer of Seche Vite I stamped using PUEEN 59 from the PUEEN Buffet set, using Essie Good as Gold. 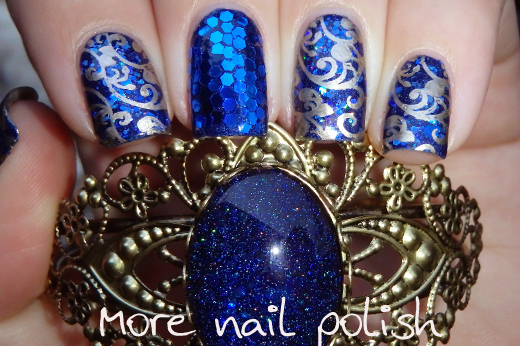 On my ring finger I added glitter placement using dark blue glitter and sealed it with two coats of top coat. 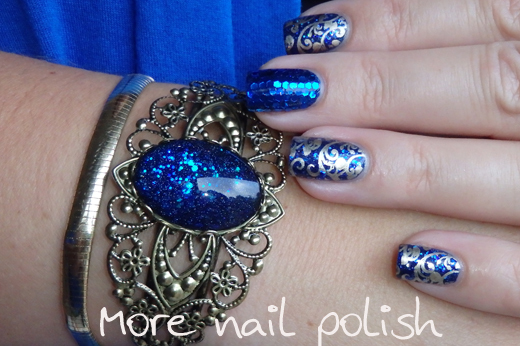 Once again I did the triple match of my nails, the jewellery and my outfit. It was a huge hit! You can see this adjustable bronze finish bracelet with other nail polish jewels on the Jewels made by Jess Etsy store. Jess ships to Australia, and will open the shop up internationally on a country by country basis as requested. 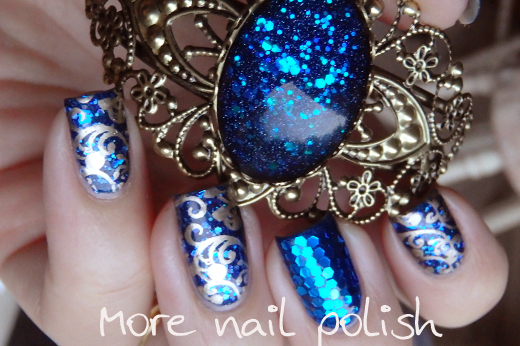 Don't forget that using the code MORENAILPOLISH will get you 30% off until 30 April 2014. Gorgeous! Such a deep blue. The ring matches your nails prefectly well. 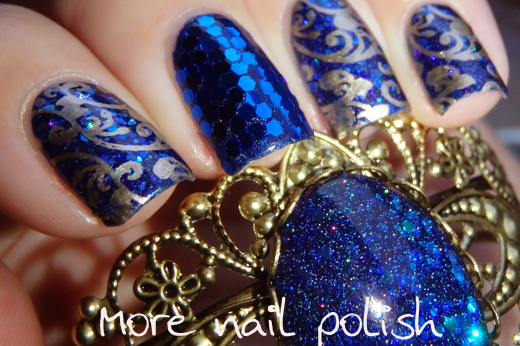 Actually, this is a glamour nail art.